Max Rozhenko, Matthew Bolis, and myself (Sebastian Ghiorghiu) have come together to build what we know as the most inclusive and value-packed drop shipping course in history. Each of us individually have an unfair amount of knowledge and more importantly experience, on different skills involved with drop-shipping. Instead of each creating a separate course we decided that coming together and teaching what we are amazing at was a better idea. Thus, we present to you “EcomAlphas”, literally 3 separate alphas in this industry together working as a team to obliterate competitors and change students for life. Max Rozhenko, a literal demigod, at facebook marketing. Max decided college wasn’t for him 2 months in so he made the decision to leave before he had ever had any sort of online money. Now, with years of experience, Max is able to generate a consistent 6-figures per month with out failure. Matthew Bolis, also known as, “The King of Instagram”, started instagram influencer marketing at 14 years old. He decided to drop out after 1 year of college, choosing to instead focus on building his companies. Matthew has millions of combined followers on separate instagram accounts, and a themed page agency that monetizes on over 700 pages with a total combined reach of over 600 MILLION PEOPLE. Not only was he able to buy his dream car in high school (Corvette), he also bought first first house before he turned 18. Sebastian Ghiorghiu, a giant youtube Shopify influencer sometimes referred as, “The Shopify King”, was working at Taco-bell making a hefty 48 dollars per day shortly before enrolling in college and dropping out 30 days before his first class. His first month in drop shipping he made over 5,000 in sales and now has multiple stores running on autopilot. 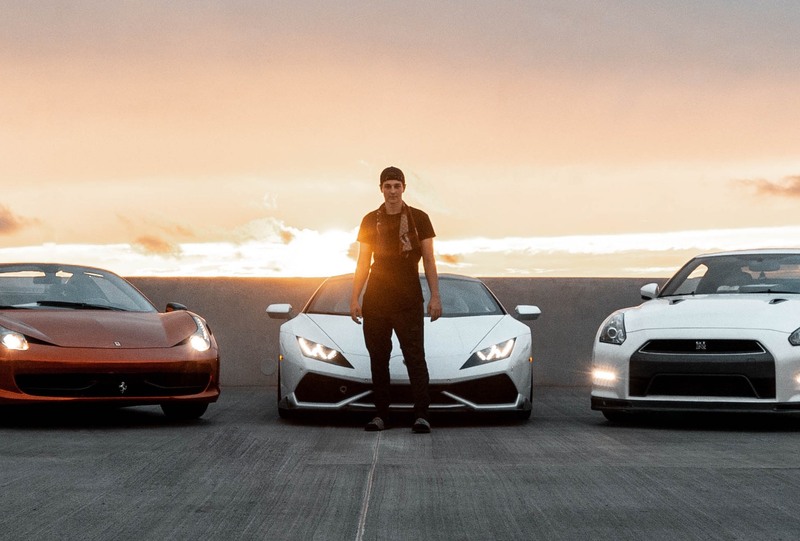 You will learn how 3 young adults together generated millions of dollars online in less than 2 years. This course is the complete guide on drop-shipping, all the way from creating your store and finding immensely profitable products, to curating a perfect advertisement and marketing those products all over social media. All of the videos in this course are taught by the experts in their respective fields. Find our years of experience, patience, and hard work condensed and organized into this masterpiece of a course. Max Rozhenko, Matthew Bolis, and myself (Sebastian Ghiorghiu) have come together to build what we know as the most inclusive and value-packed drop shipping course in history. Each of us individually have an unfair amount of knowledge and more importantly experience, on different skills involved with drop-shipping. Instead of each creating a separate course we decided that coming together and teaching what we are amazing at was a better idea. Thus, we present to you Â“EcomAlphasÂ”, literally 3 separate alphas in this industry together working as a team to obliterate competitors and change students for life. Max Rozhenko, a literal demigod, at facebook marketing. Max decided college wasnÂ’t for him 2 months in so he made the decision to leave before he had ever had any sort of online money. Now, with years of experience, Max is able to generate a consistent 6-figures per month with out failure. Matthew Bolis, also known as, Â“The King of InstagramÂ”, started instagram influencer marketing at 14 years old. He decided to drop out after 1 year of college, choosing to instead focus on building his companies. Matthew has millions of combined followers on separate instagram accounts, and a themed page agency that monetizes on over 700 pages with a total combined reach of over 600 MILLION PEOPLE. Not only was he able to buy his dream car in high school (Corvette), he also bought first first house before he turned 18. Sebastian Ghiorghiu, a giant youtube Shopify influencer sometimes referred as, Â“The Shopify KingÂ”, was working at Taco-bell making a hefty 48 dollars per day shortly before enrolling in college and dropping out 30 days before his first class. His first month in drop shipping he made over 5,000 in sales and now has multiple stores running on autopilot.